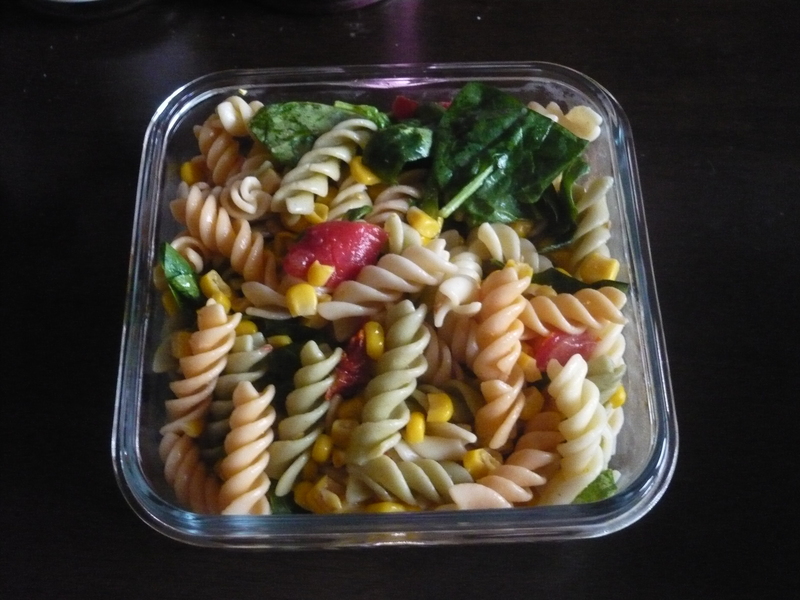 Sometimes on hot summer days, when you don’t want to be bother with intensive cooking, pasta salad is a great simple dish to go with for lunch or dinner. 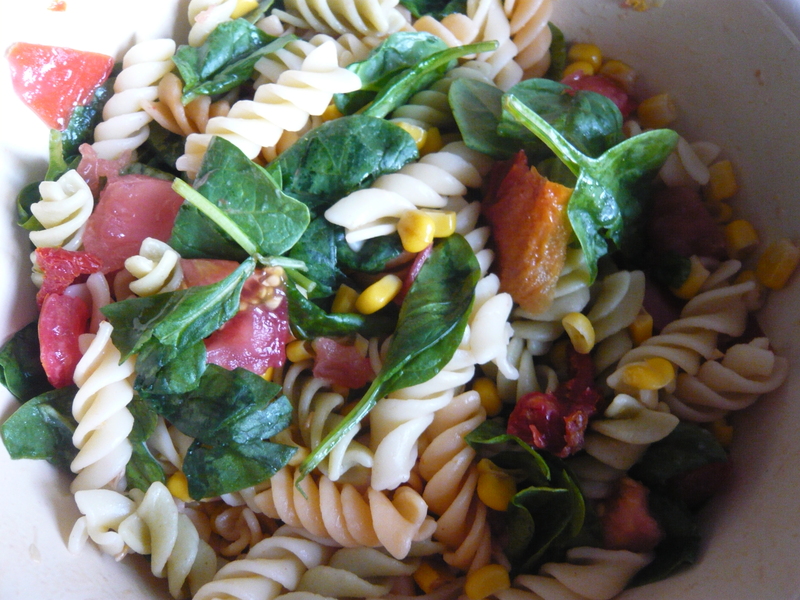 It would be great for a picnic or summer potluck too. It’s so simple, you can go with whatever you want in it. Simple right? Go with any combo of ingredients you want. 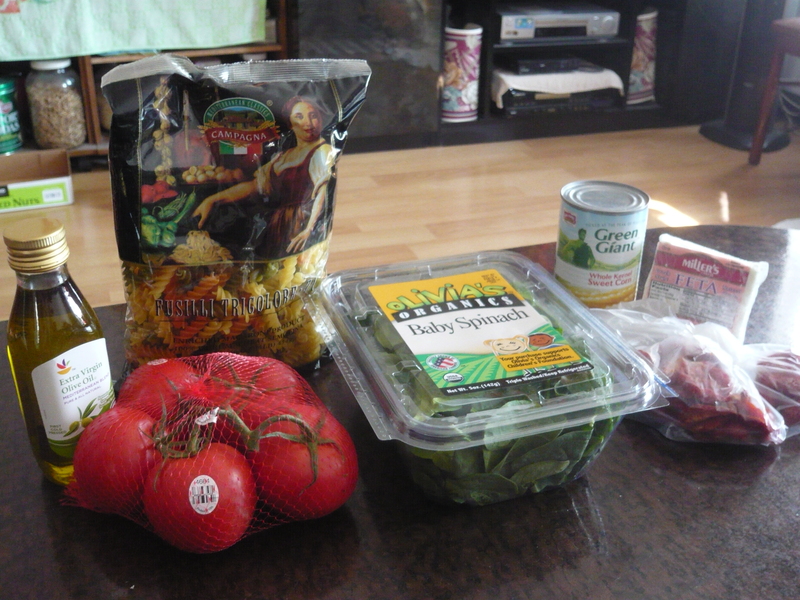 It’s also a great way to use up veggies you have in the fridge. Do you guys have any go to summer salads? Please let me know in the comments. 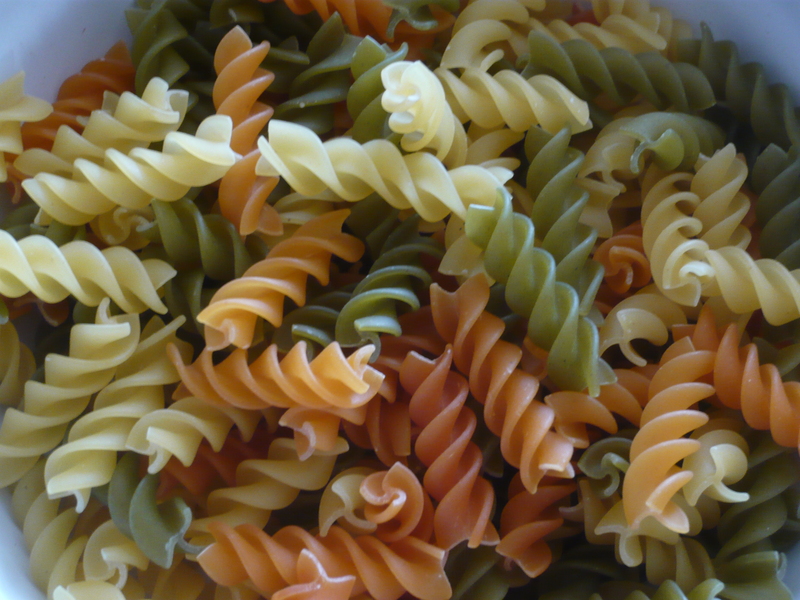 Love the tricolor pasta, makes it look so interesting! We love salads, our favorite at the moment is chopped cucumber, peppers, olives and feta mixed with some cold quinoa. We use the same simple dressing as yours, lemon and olive oil with plenty of black pepper. It’s nice and refreshing in the heat! ooh quinoa, great way to add protein to the dish. gotta try adding that more to my salads.